There's is really not much I can say except that we are trying to rebuild the success MistyCloud Translations managed to achieve built from scratch with 2 and a half years of sleepless toil and persistent effort. Hope we can continue to enjoy your support to strengthen us, encourage us, as we all forge forward to "create another piece of the sky" 闯出一片天 with some major changes needed to be made. A big THANK YOU for supporters and fans who read and follow the rather well translated (self proclaimed if a little shamelessly, well, you be the judge.) Mesmerizing Ghost Doctor, from translator Cloud. 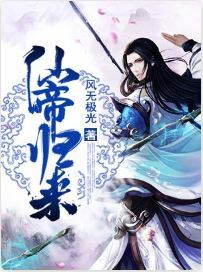 Hope to continue to remain committed to this amazing tale's (with the first male MC novel that we've picked...) translation. Adjustments are still being made in the meantime and we seek forgiveness from you... XD - Nothing more, nothing less, but just good honest (again shamelessly self proclaimed) translations here. Once again, thanks for hanging out with us at Misty Cloud Translations! Just an initial small goal to kick things up while I clear up the mess.